If your body doesn't make enough saliva to wet (lubricate) the inside of your mouth, you will get a dry mouth. This can cause problems with speech, taste, chewing and swallowing. It also increases your risk of developing tooth decay and getting mouth infections. Many things can cause a dry mouth. These are some of the common causes. Some auto-immune conditions, such as Sjogren syndrome and Parkinson disease can cause a dry mouth. It can also be a symptom of HIV/Aids, diabetes, and anxiety disorders. People who have had radiation to their head and neck have a high risk of getting a dry mouth. This is partly because they produce less saliva. Some drugs used in chemotherapy may make your saliva thick, so your mouth feels dry. This is usually temporary. A dry mouth can be a side effect of many medications, including those used to treat depression, persistent pain, allergies and high blood pressure. A head or neck injury, or a stroke can damage the nerves of your salivary glands, which then don't produce enough saliva. 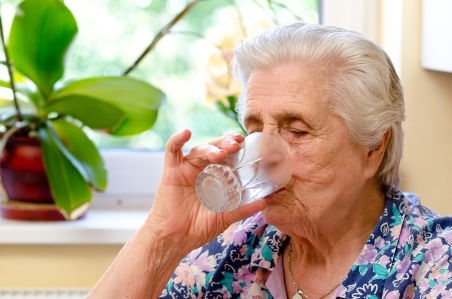 Dehydration, smoking, and age-related changes, such as menopause, can cause a dry mouth. Sip water regularly, as this will help to keep your mouth fresh. Carry a bottle to sip water, sugar-free drinks, or weak iced tea. A mix of water and glycerine might help. Avoid commercially prepared drinks, juices and energy drinks, as these are very acidic and can damage your teeth. Eat small amounts of soft, moist food (see the guidelines for a soft foods diet). Add extra gravy or sauces to your food to make it easier to swallow. Try instant packet sauces from the supermarket for a fast tasty sauce. Add extra liquid to thin the sauces if necessary. Choose foods that you don't need to chew much. Have small sips of water between mouthfuls of food. Have a water bottle or glass of water by your bed at night. sugary sweets and confectionery – a dry mouth makes tooth decay more likely. 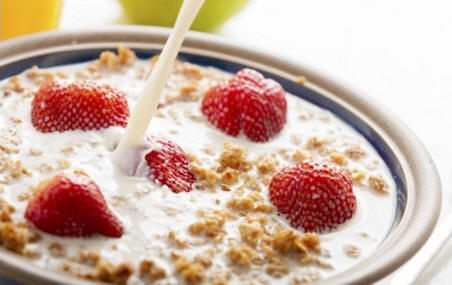 Soften cereals and muesli by adding milk and leaving them to soak for a few minutes, or mixing with yoghurt and leaving in the fridge overnight. Written by Nutrition and Dietetics, Canterbury DHB. Adapted by HealthInfo clinical advisers. Last reviewed October 2018.